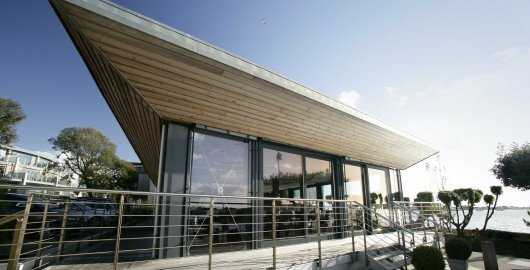 Taste of South West Tourism Excellence award winner, The Jetty is set right on the water’s edge looking across to Mudeford Quay, Dorset – all our diners just stand and gaze at the spectacular views! We are located in the grounds of the Christchurch Harbour Hotel so The Jetty is easy to find. 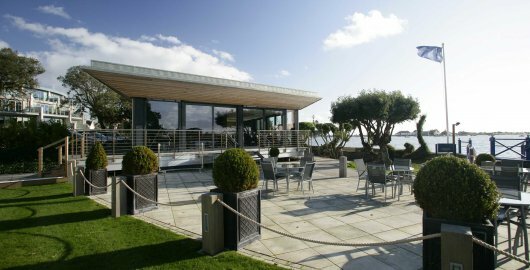 It has a wonderfully relaxed atmosphere and is a fantastic place to gather, share a bottle of wine with friends, take in the breathtaking views and choose something from the totally delicious menus. At The Jetty we always have mouth-watering fish landed daily on the local Quay and suppliers from the local area drop seasonal ingredients right to our kitchen – it’s these local flavours that we want to celebrate with the community around us. We want The Jetty to be a neighbourhood Christchurch restaurant. The philosophy to Alex’s cooking is the produce, it’s spontaneous, local and sustainable. View our selection of sample menus below. Some dishes are subject to the availability of local ingredients. If you are concerned about any food allergies or intolerances, please speak to any member of the team, who will be delighted to assist..
Click here to the view menu. With a wide variety of dishes, take a look at our vegetarian and vegan menu below. Try our delicious dessert menu with an accompanying dessert wine. Treat a friend, colleague or loved one to a Jetty Gift Experience - from Lunch with Alex, to Sunday Lunch and monetary vouchers.